Whatever the weather, our colour-changing raincoats will make it better! 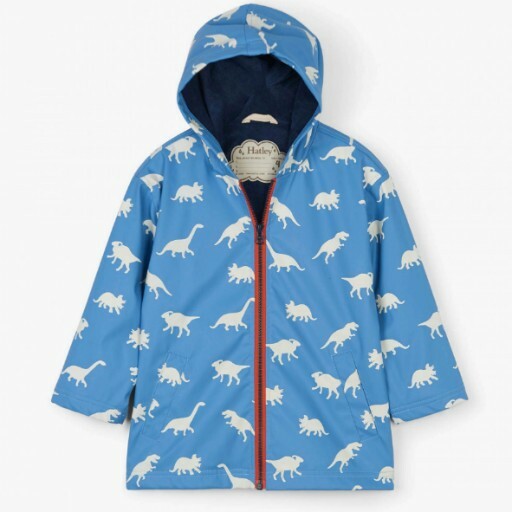 Vibrant colours, with playful dino prints and oh-so-many styles to choose from, you'll (almost) wish for rain every day. Pair with the rest of the rainwear collection. Features: Print changes colours in the rain Waterproof PVC-free Fully lined Inside hanger loop Zipper closure and welt pockets Machine washable 100% polyurethane.